In every service industry it’s an ongoing challenge to keep customers satisfied and to retain their loyalty for future projects. Since floor installations are typically only needed once every few decades or so in a single home, getting repeat work from a single client can be difficult but not impossible. The key to creating a steady stream of loyal clients is to invest the relationship. Treating your client like a paycheck may get you paid for their project but building rapport and keeping them satisfied throughout the project that will win their trust and give you access to their network of friends and family. So, how do you keep your clients satisfied enough to become your biggest fan? It may seem obvious but maintaining a sense of professionalism is crucial. From the moment you answer the phone until the handshake after the final job walk, your professional tone will dictate whether you are a trusted expert in your field or just some schmuck with tools and a truck. Your level of professionalism will speak volumes and let your clients know that they will be in qualified, capable hands. Whether it’s a potential client, or a current client, it’s especially important to respond to phone calls and emails as soon as you possible. No one likes surprises when it comes to home improvement so being attentive and maintaining effective communication not only gives your clients a sense of security, but it will also help you set yourself apart from your competitors. It’s no secret that contractors have earned the stereotype of being impossible to get a hold of. I can’t tell you how many people have expressed shock and down-right disbelief that I actually called them back. So the degree to which you shatter that stereotype will dictate how likely you are to not only satisfy your client, but exceed their expectations. As you well know not every floor is created equal and not every customer has the same needs. The contractor that can improvise, adapt, and overcome challenges before, during, and after a project will continue to earn the respect of the client. If you are an installer and your client’s floor requires maintenance, you have three choices. You can turn your customer away because “you don’t do that”, learn how to do it yourself, or subcontract it to a finisher that does. Do your best not to give your customer a reason to look for another contractor. Education is a huge part of growing a successful business regardless of the industry. Don’t be afraid to step out of your comfort zone. It can pay tremendous dividends. We are in an industry where there are just some “things” that are out of our control. The difference between a thriving business and a striving business is how we deal with those “things”. Whether it is a product that is backordered or finish that didn’t flow out quite right, being proactive, coordinating a plan of action, and promptly communicating that with your client ensures them that they are a priority and that they will be taken care of. Everyone wants the best possible product for the best possible price. That is just reality. Many times this results in your clients doing their own research online. They find this product for this price and that product for even less. But buyer beware! Most manufacturers will not honor any warranty on products sold online. The reason is this. They have no control of the supply chain and consequently no control over how the product was stored and handled. This protects them and the end-user, your client. The industry is riff with those who buy a random container of XYZ Flooring and sell it out of their storage facility. 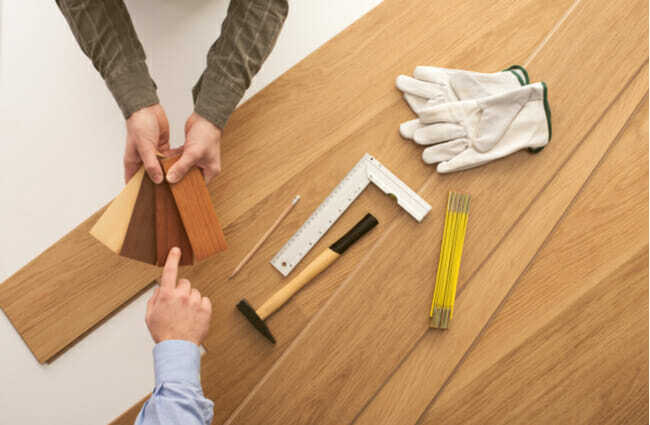 If you are truly seeking to build a relationship with your client, you don’t want to sell them flooring that is discontinued or has suspect origins. Also, when you purchase from a reputable dealer you have an advocate in your corner in the event that something does go wrong. When all is said and done, your success or failure will depend largely on how well you can retain your clientele and earn their trust. As long as you communicate with your clients clearly, concisely, and in a professional manner, you will be leaps and bounds ahead of the competition. By following these five steps you can rest assured that you will be building a firm foundation for a thriving, successful business.